Jean-Michel Chartron heads a domaine run by his family in Puligny-Montrachet since 1873 and is one of the most highly regarded grower in the area. The two monopoles– the grand cru Chevalier-Montrachet, Clos des Chevaliers and the Puligny-Montrachet 1er Cru, Clos de la Pucelle – have been in the family since 1917. We will have the extraordinary chance to taste them together with other great and iconic wines of the domaine, thanks to the kindness of Jean-Michel who will deplete his personal cellar as these precious bottles of 2014 have become collectibles. As the President of the Puligny Growers’ Association, Jean-Michel is at the forefront to deal with new challenges, and will share with us some insights on topics such as responses to climatic changes, and why the wines of Puligny have become the rarest and most sought after white wines in the world. 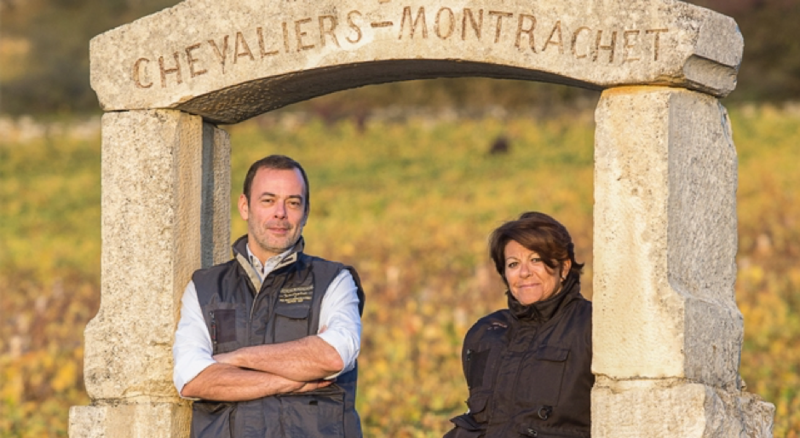 Jean-Michel Chartron heads a domaine run by his family in Puligny-Montrachet since 1873 and is one of the most highly regarded grower in the area. The two monopoles– the grand cru Chevalier-Montrachet, Clos des Chevaliers and the Puligny-Montrachet 1er Cru, Clos de la Pucelle – have been in the family since 1917. You will have the extraordinary chance to taste the domaine's two monopole wines together with other great and iconic wines of the domaine, thanks to the kindness of Jean-Michel who will deplete his personal cellar as these precious bottles of 2014 have become collectibles. As the President of the Puligny Growers’ Association, Jean-Michel is at the forefront to deal with new challenges, and will share with you some insights on topics such as responses to climatic changes, and why the wines of Puligny have become the rarest and most sought after white wines in the world.